We’re just 10 minutes out to sea when a large shadow the size of a bus passes under the boat. “There!” our captain says, pulling the boat around. We slow and gaze below in awe as a 28’ whale shark leisurely cruises alongside our boat, feasting on plankton and tiny krill in the clear sea below. Here in the Sea of Cortez, such sightings are a frequent occurrence. Jacques Cousteau once called the Sea of Cortez “the aquarium of the world,” and I can see why. Within minutes of leaving the dock, we’ve seen humpback whales and dolphins – and now this whale shark below. The whale sharks are one of the main reasons I’ve come to La Paz, the laid-back capital city of Baja California Sur, a Mexican state on the Baja California Sur peninsula. La Paz is the gateway to the Sea of Cortez, where amazing creatures like the whale shark live in one of the most abundant and wonderful ecosystems in the world. Whale sharks are the largest fish on the planet and can easily reach more than 40’ long and live up to 70 years. 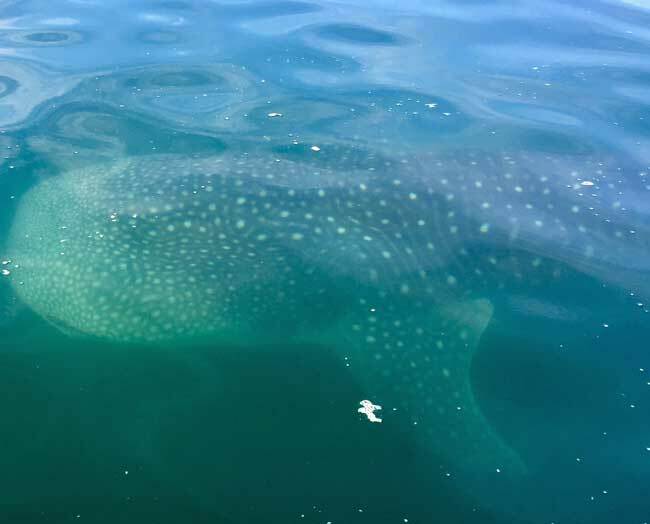 Much about them remains a mystery, but scientists have found that juvenile whale sharks come to the Bay of La Paz (and other parts of the Sea of Cortez) from October to February each year. They average between 22 and 32’ feet long. And juvenile or not, that’s huge when you’re right next to them. Whale sharks are filter feeders, and it’s safe to get in the water with them if you follow a few simple rules. Swimming with whale sharks has been on my bucket list for years. They’re found in many places around the globe, including Australia, Mexico, and the Maldives. Last year on a trip to the Maldives, my plans to see them had been thwarted by a storm. Today burns bright and sunny, so the odds are looking good. 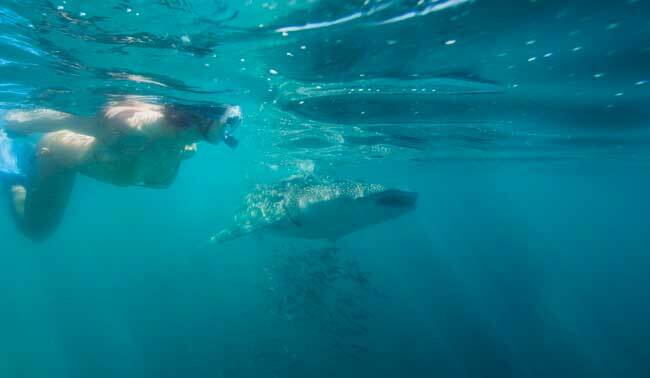 Swimming with whale sharks in La Paz is highly regulated to protect the animals. 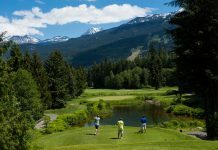 You can only go out with a licensed tour operator like The Cortez Club, a well-respected outfitter, and only snorkeling is allowed (no diving.) Snorkelers are restricted to 30 minutes in the water, so you must plan your time carefully. As our captain searches the water for more whale sharks, we don our fins and snorkels, ready to drop into the sea. For a few frustrating moments, we can’t find any more whale sharks. Then we see a large fin in the distance and the boats quickly brings us alongside it. We swim right alongside the whale shark, which is moving about three miles an hour. I’m right at his middle near his large pectoral fins. I have to swim to keep up with him, but I’m so close that I can see the water being pushed through his massive gills. I have a closeup view to the Remora fish that have attached to the whale shark and come along for the ride. I turn and look down the length of the whale shark’s massive body. It’s a thrilling experience, and I stay with him for several minutes, completely awed by his – or her – large peaceful presence. Eventually the whale shark swims away, and we get back in the boat. Our group drops in several times more times, each time with one of the five whale sharks that seem to be feeding here this morning. I’m left tired, but exhilarated. The experience was even better than I had imagined. There is something so moving about being next to such a large, peaceful creature in the wild. But that’s only the first part of our adventure with The Cortez Club. Next up? We’re heading out to the Isla Espiritu Santo to swim with sea lions! The whale sharks season in La Paz runs from October to February each year. The Cortez Club is one of the top scuba diving, sport fishing and water sports centerS in La Paz, Baja California Sur. 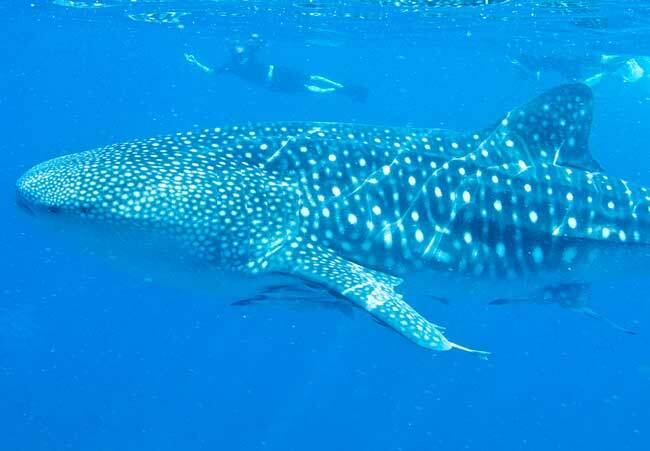 They offer whale shark excursions for USD $99 per person + 16% local tax. Please note that a National Park Permit Fee is required by law per person and costs USD $7 per day. For more information, see http://www.cortezclub.com. La Paz is the gateway to the Sea of Cortez. 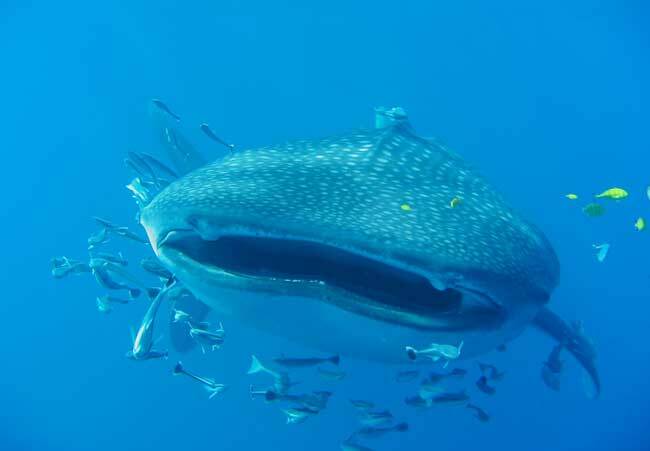 This laid-back small town offers luxury resorts, excellent cuisine and respected outfitters that offer whale shark tours. For more info, see www.golapaz.com.